Are you frustrated in arranging your mails? Do you have tons of mails in your inbox so that you can’t find mail easily? If your answer is yes, you should try to use Gmail, because it is very easy to manage your mails as it has functioned for a label, which will help you to arrange specific kinds of mails with different labels. If you run your own business, you must keep your email organized to be able to find various emails quickly and respond to your clients as soon as possible. 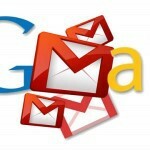 Gmail enables you to organize your mail using folders. First, you need to open your browser, go to your Gmail and login using your email address and password. If you do not have an account, create one and follow the prompts. Be careful when you are using public internet connections. You can use the options below on how making your personal folder using Gmail. You need to click the “More” option from the left pane, in order to view more. Then, you need to click the ‘Create new label” link to start creating your new folder. You can type any name in the “Please enter a new label name” for your personal folder, lastly, you need to click the “create” option in the dialog box where you enter the new name of your folder. Gmail does not have traditional “folders” like a computer hard drive. Instead, you use labels to organize and sort your email. Scroll down to the bottom of the sidebar from your account. This sidebar is located on the left side of the page. Click the “More” link, it shows all of your labels. Click on the “Create new label” link. The link is usually blue in color. A dialog box will appear which allows you to create a new label. You can also choose to “nest” the label under a different label. Then you need to enter your label name. Ensure that the label name is descriptive and helpful, but short enough to be quickly read. In order to nest your label under another, existing label, check the box and select the parent label from the drop-down menu, then you need to click the create button as a final step. Move your mouse over the icon “gear” at the top right corner, click the “gear” and select “Settings”. A drop-down menu will appear with several options, you need to select Settings. Find the blue text “Labels” under the title of “Settings”, then click it to continue. Click the “Labels” tab. All the stock Gmail labels, as well as any you’ve created, will be listed. You may have several categories of labels, even if you’ve never created any yourself. You need to scroll to the “Labels” section. These are the labels that you have created. After that, click the “Create new label” button. A dialog box will appear which allows you to create a new label. You can also choose to “nest” the label under a different label. This acts like a folder inside of a folder, and can be helpful if you’re organizing a lot of emails. On the left side, you will notice a list of labels. If you want your label to appear in this list, click the “Show” link next to the label name under the “Show in label list” column. If you don’t want it to appear, select “Hide”. If a label is hidden, you will need to click the “More” button at the bottom of the label list to see it. Then you can automatically sort your incoming messages into specific labels so that you don’t have to manually label your messages by creating a filter for your label. Gmail is advisable for those who have many online transactions, especially when it comes to communications and promotions. This is because gmail has better spam filter and good options for keeping our email messages and work life organized. Nice post I just created folder in my Gmail account. Creating folder makes it easy to find our Important mail easily. Thanks for sharing your views Ravinder.